Remember that post I wrote a bit ago about Serena Williams running through the summer's big events? Yeah, look for that to continue through the U.S. Open, which is mere minutes away from starting. But I'm expecting her to face maybe a not-so-expected finalist in the title match, and this time it should be the opposite of what happened last year. What a year we've seen in the Slams, huh? The re-emergence of Roger Federer as a winner, Rafael Nadal dominating the French, Andy Murray coming close and it starting off with Novak Djokovic defending his Australian Open title. I'm picking him to defend his U.S. Open win, too. 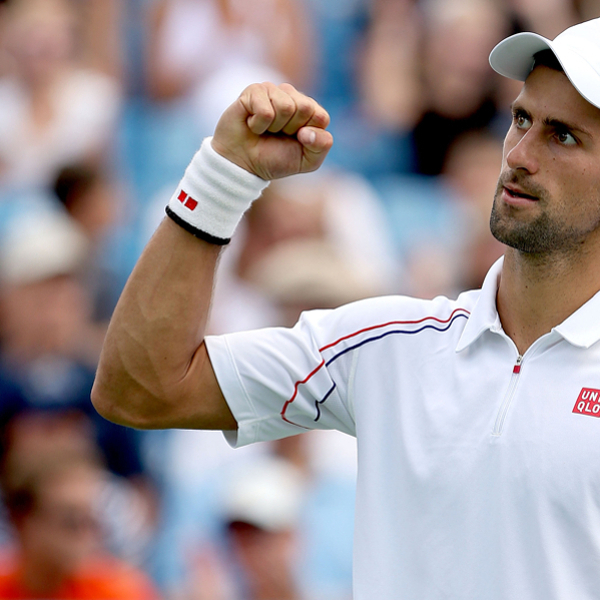 I know it's been the year of the Fed, but I just like Djokovic's draw too much, and he's not playing too shabby, either. I think Rafael Nadal should shut it down for the rest of 2012. Of course, I'm sure that's already out there on the table in the Nadal camp, but if they wanted an outside opinion, well, that's mine! Just plain old bad luck. Not everyone is gifted with the greatest of knees. Sometimes, what you do just leads you to have "bad" ones and I think that's the case here. Anyway, if Rafa were to shut it down for the year, there's plenty of time left in his career to make up the bit of difference. 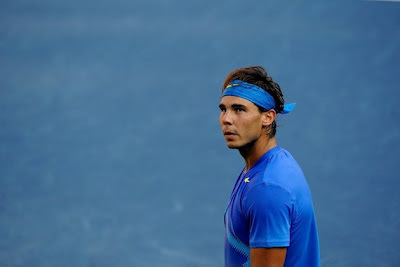 Still, it's sad that Nadal won't be at the Open, as it was sad he couldn't make it to the Olympics. Hopefully, though, there's plenty of good years left ahead of him. Just not the rest of this one. It's time to get down to the real nitty-gritty of the season. Not that the Olympics and the tours' respective Canada tournaments were any slouches, mind you. But the Olympics are such a specialized event: a prestigious event squished into the span of a few days with singles, doubles and mixed all thrown in. Of course, that would take a toll on the players going to Canada to play in the Masters 1000/Premier tournaments, which were won by Novak Djokovic and Petra Kvitova, respectively. Those two had to deal with numerous rain delays and prevailed over less-stellar fields than what's been seen in recent years. Anyway, that's all in the past now and the hard-court season really gets into swing with this week's play in Cincinnati. Roger Federer's there, Serena Williams, too, and both face the usual amount of big threats. The U.S. Open is just around the corner, and it'll be interesting to see how the past few weeks impact the top players. If they're going to make adjustments, now's the time to do it.